JAM Brothers was Established in 1992 by Shafkat Rashid a man with vision and initiative is manufacturing and exporting Uniform Accouterments for Governments, Armed Forces, Corporate, Fraternal & Friendly Societies, Clubs, Associations and other uniformed bodies in United Kingdom, Germany, USA, France and many countries around the world. 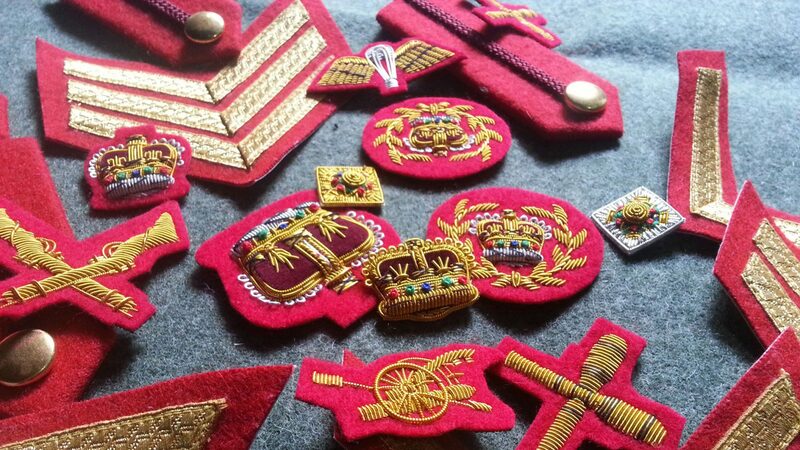 Our Product range is extensive and we offer a tailor made solution for Accouterments/Accessories for Armed Forces, Security Organizations, Aviation, Hospitality, Colleges, Schools, Sports Club and Uniforms accompanied by Ceremonial items which includes Hand Embroidered Bullion Badges, Machine Embroidered Patches, Emblems, Wings, Cap Visors, Family Crests, Coat of Arms, Flags, Banners, Sashes, Chevrons, Ribbons, Laces, Aiguillette, Sword Knots, Lanyards, Chin Cord, Whistle Cords, Tassels, Shoulder Boards, Officer Caps, Berets, Glengarry, Honor Caps, Sports Caps, Leather Belts, Regimental Badges, Free Mason Items, Medals, Metal Badges, Civil War, World War I & II items etc. We have a vast array of Knowledge, which combined with a breadth of skills and experience means we are Agile, Versatile and You are safe in Our Hands. Since we believe that developing and maintaining strong relationships is the key to success, we always have tried to develop long-lasting relationship with our Customers by offering dedicated solution to their Uniform/Accessories requirements. JAM Brothers main aim is to meet the need and satisfy customers by providing superior quality products along with excellent services and to be a key success partner in our clients’ businesses. JAM Brothers main aim is to satisfy and meet the needs of our customers by providing superior quality products along with excellent services and to be a key success partner in our clients’ businesses. It will help us to become a leader in the market we serve by providing superior quality products and excellent services to our customers. We will learn from the feedback provided by our customers to continuously improve the standards for our products as well as services. Customer Focused – We build successful partnerships with our customers. Passion for Excellence – We strive to be the best in everything we do, every day. Be Inspiring – We’re eager to find new ways to improve and create values. We believe that excellence is a journey, not a destination. Keep Promises – We’re not about overpromising, but delivery. We’re not about words, but actions. We do what we say we will do. Respect – Respect for Human Dignity towards everyone we interact.